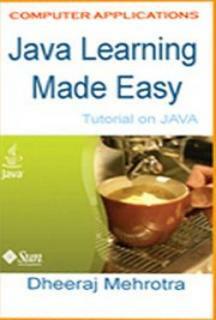 Java Learning Made Easy: Learn Java Programming Through Easy and High Quality Instruction | Free eBooks Download - EBOOKEE! Posted on 2018-07-14, by kashani90. through easy and high-quality instruction! No comments for "Java Learning Made Easy: Learn Java Programming Through Easy and High Quality Instruction".